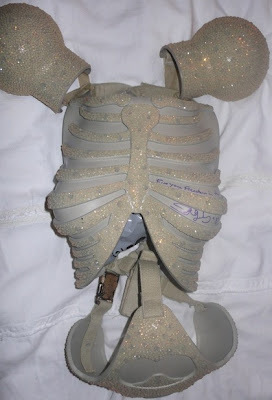 Lady Gaga is auctioning off this signed skeleton costume from her tour to benefit victims of the Haiti earthquake. Part of me kind of wants it. If you have $5,250 to throw around, you can place your bid here. Proceeds go to Oxfam International.